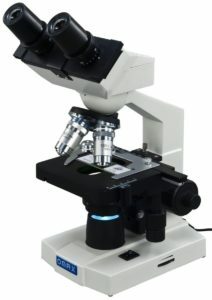 1.2 How does a microscope work and what are the parts? 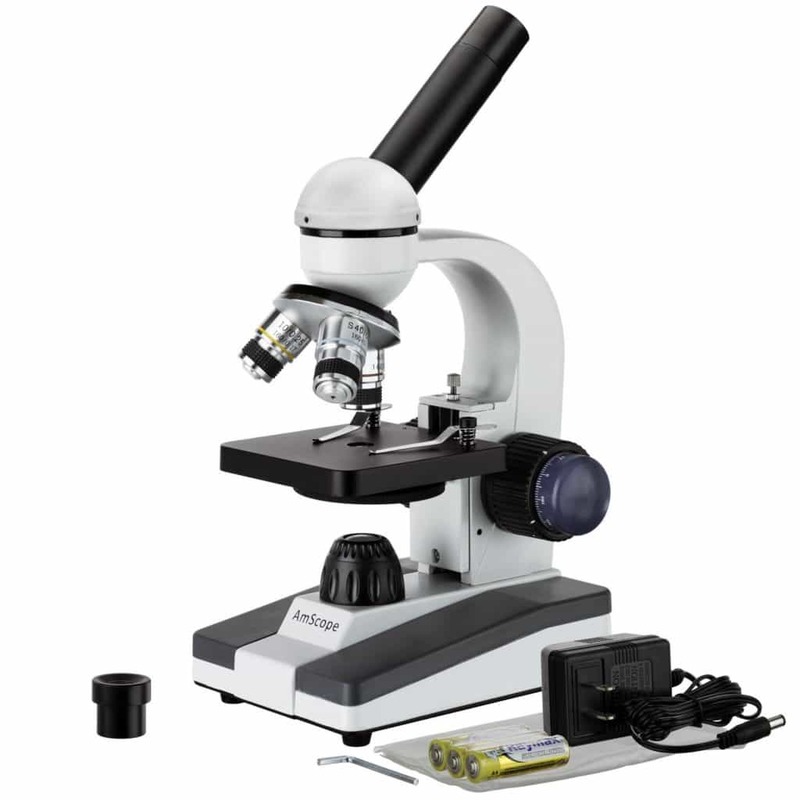 1.4 What is the Best microscope for kids? 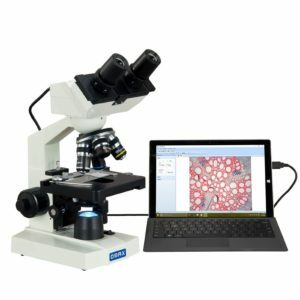 Need help finding the ultimate Microscope that is fun and enjoyable process to use? 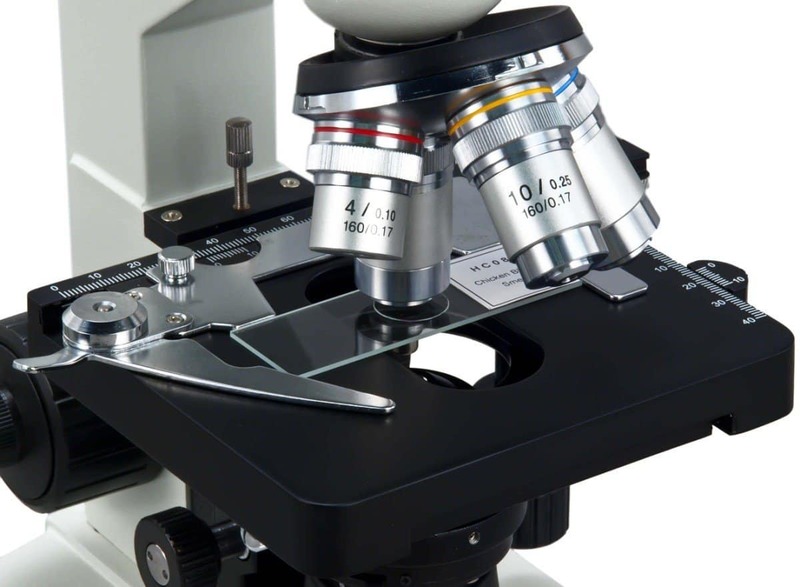 Let me assist you in and show you the Top 5 Microscopes brands that are good. These microscopes work excellent for students, kids and soldering! Spoiler these are the top 5 picks! This one Omax with a digital binocular swivel head (360 degrees) and revolving quadruple nose-piece has a 1.3 MP USB camera built in that can capture images and video and has advanced software applications-compatible with Windows versions 7, 8 and 10 (software included) and Mac Software. It has eight levels of varying magnification from 40X to 2000X with the help of 4 objective lenses (including one oil immersion lens) and two pair eyepieces. mechanical stage whose lock protects the objectives and slides. The condenser is Abbe NA1.25. There is LED illumination of variable intensity. Users had extensive experience in microbiology, bacteriology, etc. reported this to be a high-quality instrument with clear images at 1000x magnification. More than one user complained that there was no printed manual accompanying it. The CD provided for this purpose was defective. Some Windows software drivers were reported to be missing or sketchy. Some users found it too small. One user could not view diamonds facets using it. But all in all, this is a good well-known brand and works extraordinarily for kids and students. You can buy Omax below. 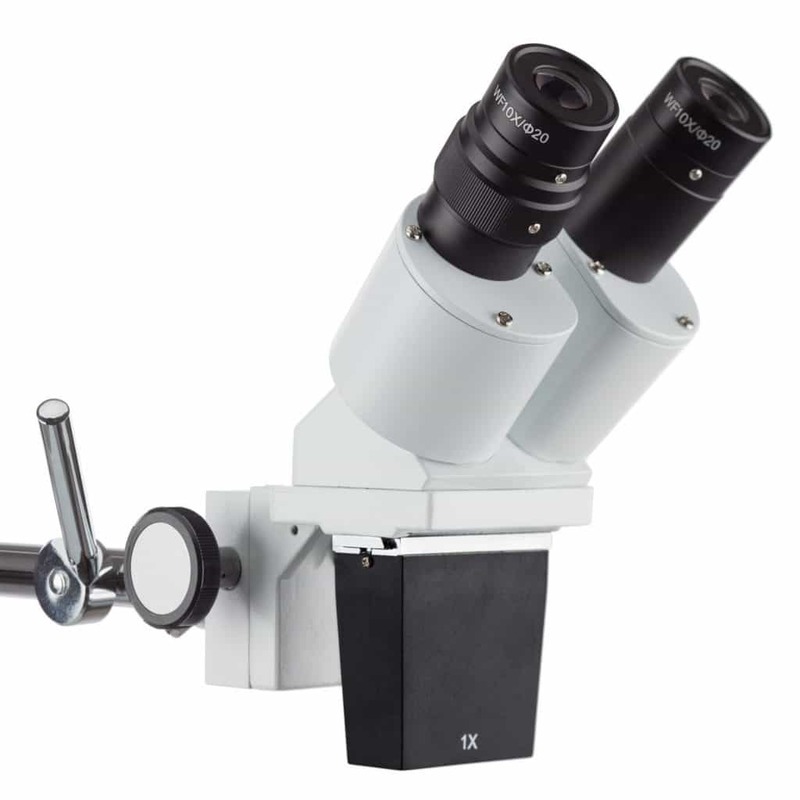 This one from Amscope shows objects in a three-dimensional image, comes with a boom arm (12”) allowing for large working surfaces, like circuit boards. It has two sets of eyepieces widefield (WF) 10x and 20x. large-scale specimens. The LED comes attached to a gooseneck cable to direct the light wherever required. Users typically inspect electronic SMD (surface mounted devices) with this. 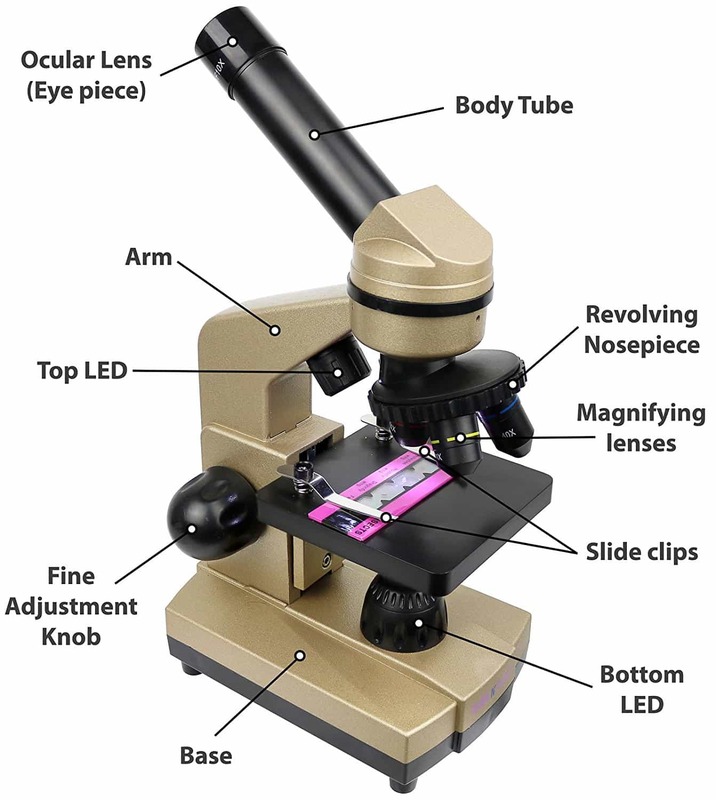 The 10x magnification is useful for micro soldering work – there is adequate room for the soldering iron between the eyepiece and the board – while the 20x for inspection. Optics and lighting were found to be satisfactory. It was found to be good value for money. Some users regretted that it was not equipped with a camera like other competitors. The lenses did not provide much range (only two eyepiece magnifications and no magnification with the objective lens) and ‘wide field’ seems misplaced as only part of the circuit can be viewed. It is equipped with a 360-degree Siedentopf pivoting head which adjusts the interpupillary distance without changing the focus of the lens objective. It is inclined at an ergonomic 30 degrees. LED Illumination with dimmer, Abbe Condensor and 3-D two-layered Stage below which there are the optical components the iris diaphragm and the blue or green color filter. 1.3Mega Pixel camera which is Windows, Mac OS X and Linux friendly. It is compatible with Windows 10,8,7 as well as XP and Vista. The software for processing and editing in Windows has unique features like Extended Depth of Focus EDF capabilities as well as Stitching functions. Video recording, measurements, etc. are also possible. A good product, easy to setup and easy to use software and PC interface. The Siedentopf head is a unique feature. In magnification, 2500X is more than what other competitors have to offer. It offers much more than what the price indicates! The lenses give a sharp picture; the mechanical stage operates smoothly. For the price, it is an excellent purchase and makes an excellent microscope for students and kids. Directions for getting it operational are not very clear. The camera is also not that good. A case could have been provided for eyepieces not in use to prevent them from getting dusty. One user had difficulty with the AmScope not able to resolve the delicate structures like white blood cells with the camera making things worse. This one got the award for best compound microscope 2016. The nose-piece is a revolving quadruple, with a double layer mechanical stage that can be moved along the x, y and z planes, and is provided with scales. This makes an ideal device for home use and has a great photography. This suits all ages and be can learn to use it under the supervision, and it is also suitable for college students studying microbiology. Many users said the optics were excellent and was the top product in its price range. One user said that the 2000x magnification was only a number was not practically achieved. It requires an immersion oil that other devices don’t need. More than one customer said that two of the objective lenses were defective worth noting. This has five magnification settings from 40X through 1000X. It had a 360-degree rotatable monocular head with a locked-in eyepiece and inclined at 45 degrees. Single lens condenser and Disc diaphragm. 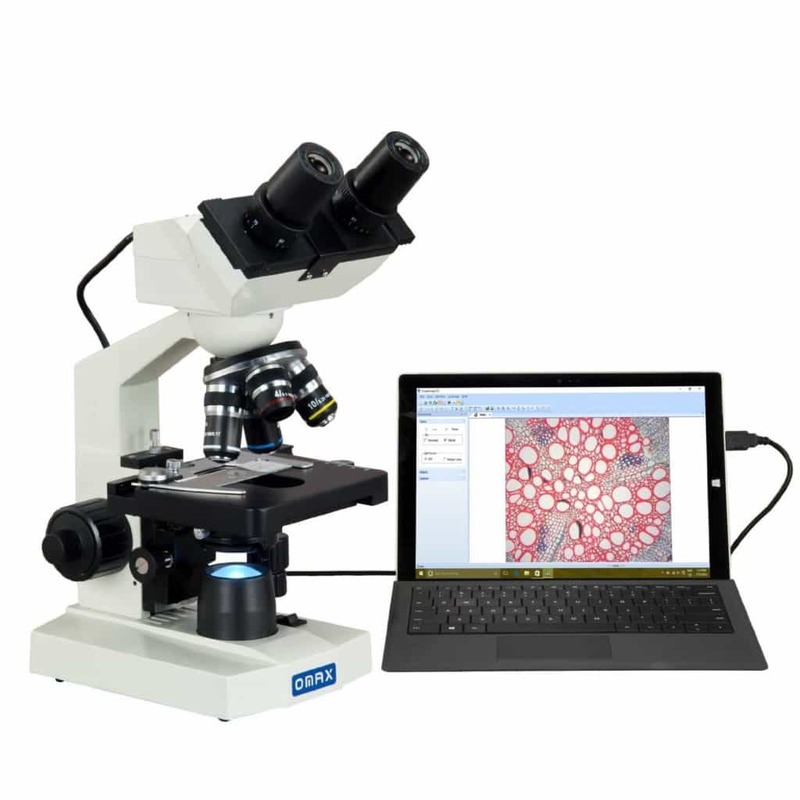 This student gadget was awarded the #1 among the six best student microscopes 2016. It is very good for the price, and the magnification is quite impressive. As the LED can work on 3 AA batteries, it can be carried around. It is relatively cheap, and students can play around with it till they move on to something more sophisticated and expensive. A negative about this is that the registration number needed to download the manual is not provided in the box. Some users complain that the glass parts were filthy and full of imperfections so much so that viewing through it was impossible. Some people misunderstood that it came with a USB camera when it did not. biconvex lens to magnify microorganisms, attempts were made for better magnification and resolution of images. The next version was the natural successor to the first simple one, with a combination of two lenses. Other types such as the stereo, interference, and phase-contrast also works on light, but the light is treated differently, and the specimen is analyzed accordingly. The phase contrast and the interference Compound/Stereo Microscope make use of the differences in the index of refraction of the components of the specimen under observation, which are translated into observable contrast differences in the specimen’s makeup. The electron microscope works on a beam of electrons directed at the specimen rather than light and so is in a different league. How does a microscope work and what are the parts? These usually consist of a set of two convex lenses. The first is facing the object and has a short focal length and aperture. This is called the objective lens. The other lens is closer to the viewer’s eye and has a longer focal length and is called the eyepiece. Both these lenses are mounted coaxially at the two ends of a tube, with the eyepiece closer to the viewer’s eyes. 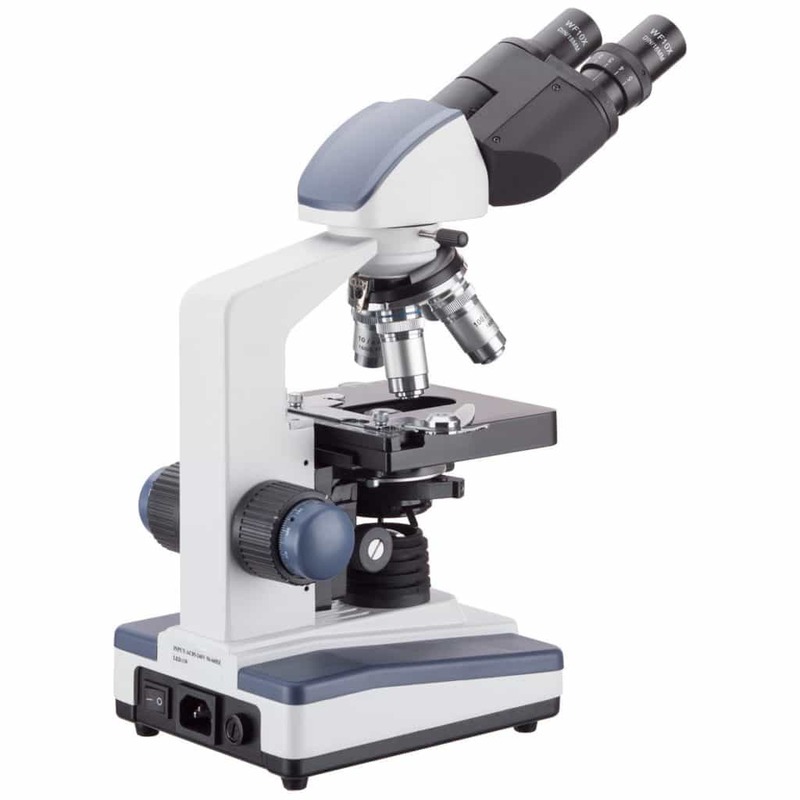 There are also other types of stereo microscopes and electron microscopes. The item to be magnified is placed between the focus and the centre of curvature of the objective lens. It forms a real, inverted magnified image on the opposite of on the objective lens. This is used as the object by the eyepiece lens, which gives a final even further magnified, virtual and erect image. Nose-piece – which houses the objective lens, which may be a combination of many lenses. Illuminator – is the light source for the device, usually at the bottom of it – usually a low voltage halogen bulb. Condensor focus knob– used to adjust the condenser position ( up or down) about the lighting concentrate on the sample. Iris diaphragm – used to control the amount of light reaching the specimen. It is located above the condenser and below the stage. Aperture– the hole in the stage through which the base light reaches the stage. 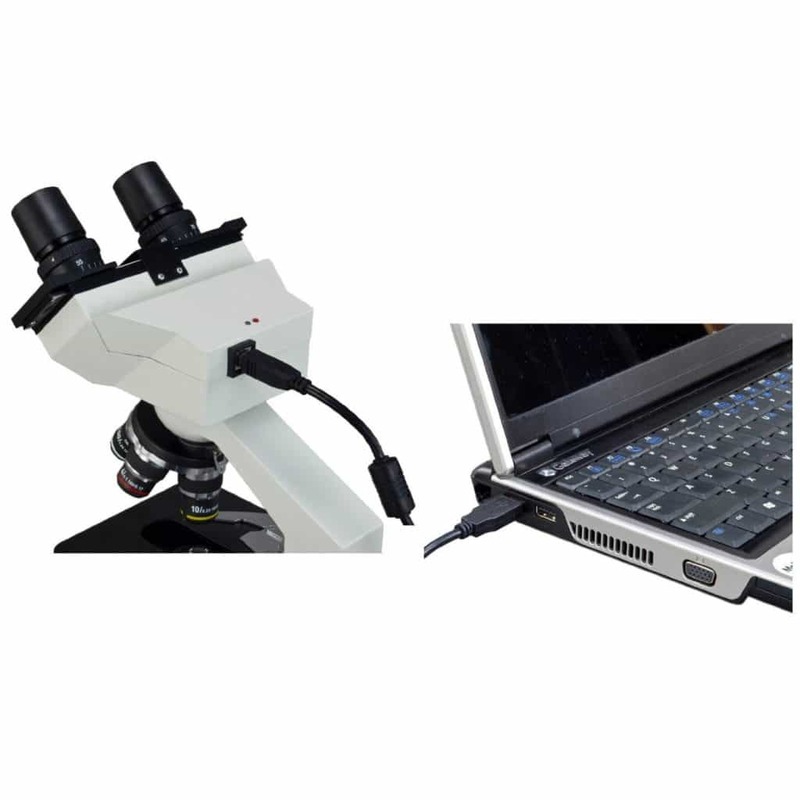 Microscope Camera – these digital cameras are good definition USB imaging systems that can connect to your computer and transmit live images and video to it. Accompanying software is also included. We have selected five brands in no particular order and picked out the right ones with reviews for your reference. These tools are designed for low magnification purposes and use two objective lenses and two eyepieces to provide slightly different viewing angles to each of the viewer’s eyes, thereby producing a three-dimensional effect. Some features like adjustable interpupillary distance, dioptric adjustment, coaxial coarse and fine focusing, NA1.25 Abbe condenser and iris diaphragm are common to all except the last. 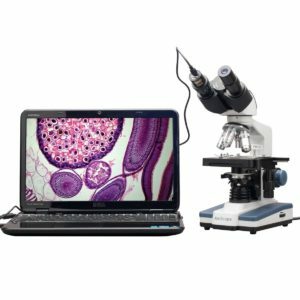 What is the Best microscope for kids? #1 is OMAX 40X-2000X Lab LED Binocular Microscope are a great choice for kids or students. #2 Educational Insights GeoSafari Jr. My First Microscope. 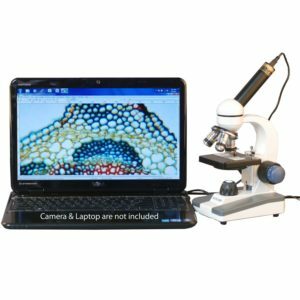 #3 AMSCOPE-KIDS M30-ABS-KT2-W Microscope Kit with Metal Arm and Base, 6 Magnifications from 20x to 1200x, Includes 52-Piece Accessory Set and Case, Awarded The 2016 Top Pick of Microscopes For Beginners. #4 Click N’ Play Kids Educational Science Lab Microscope Kit With Over 50 Accessories. So there we have five good brands and products, all these are a good choice. Today we’ve have come a long way, and I think many are high-quality stuff on the market today so whatever you choose it will probably work perfectly for you. Remember to clean your lens and optic when you are done using it. Now go and explore the whole new world that happens at a microscopic level, it’s quite fascinating. 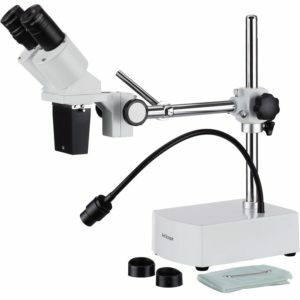 Hope you find anything useful from my list of best microscopes. Thanks for reading, if you have anything to add, please leave a comment.